Eco-Friendly Jute Storage Bins Just $13.95! Down From $30! 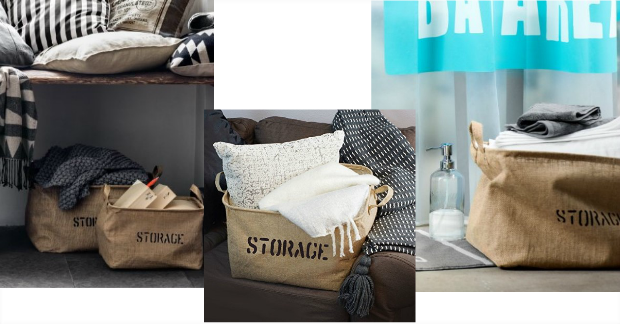 You are here: Home / Great Deals / Amazon Deals / Eco-Friendly Jute Storage Bins Just $13.95! Down From $30! 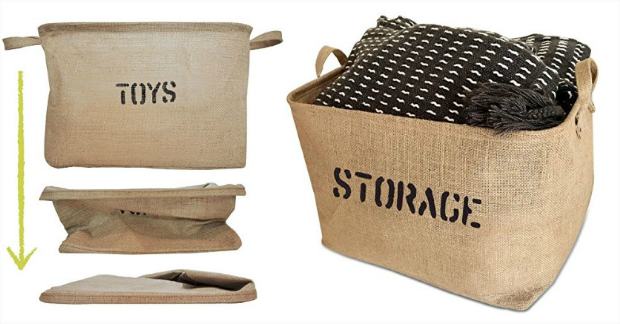 Check out this HIGHLY RATED Medium Eco-Friendly Jute Storage Bin for just $13.95! Down from $30! OR, the large one is just $19.95! 100% Satisfaction Money Back Guarantee. Click on the ‘add to cart’, NOW! MEDIUM SIZE: 14.5″Long x 10.5″Wide x 9″High – perfect for shelves. SAVE SPACE: Storage Basket is collapsible for easy storage.Wire-framed for stability. Organizing can be frustrating if you do not know where to put your items or your kids are placing them where they don’t belong. Overflowing drawers, stuffed closets, messy shelves and floors, unevenly piled magazines and missing papers can be a time consuming problem. Not anymore, with these storage baskets you will have a designated spot to neatly store items and keep your family and living spaces organized and efficient while still being within the comfort of your home. Living with clutter is no fun. Having clutter or disorganization around doesn’t create harmony but rather creates a feeling of unease and being uncomfortable not just for you but your family and guests. Let’s not mention that daunting task looming over ones head of “At some point I will have to organize that”.